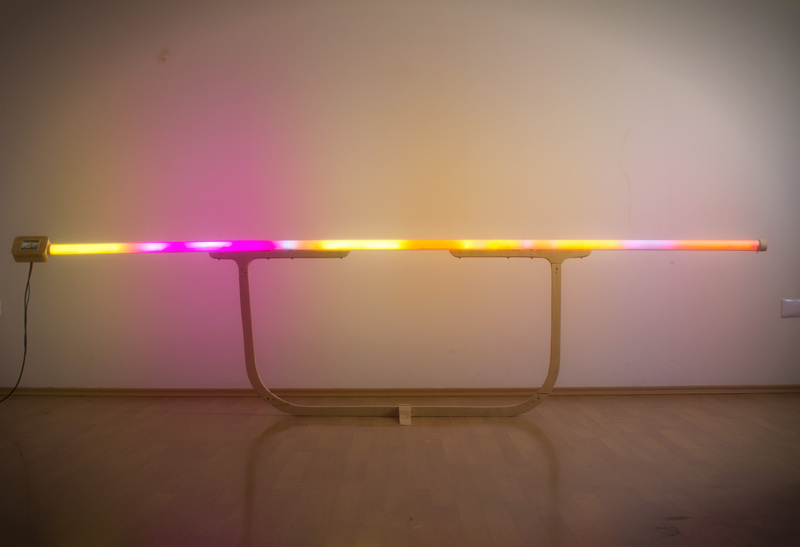 Acrylic tube, leds, Raspberry Pi, screen, speakers & custom software. 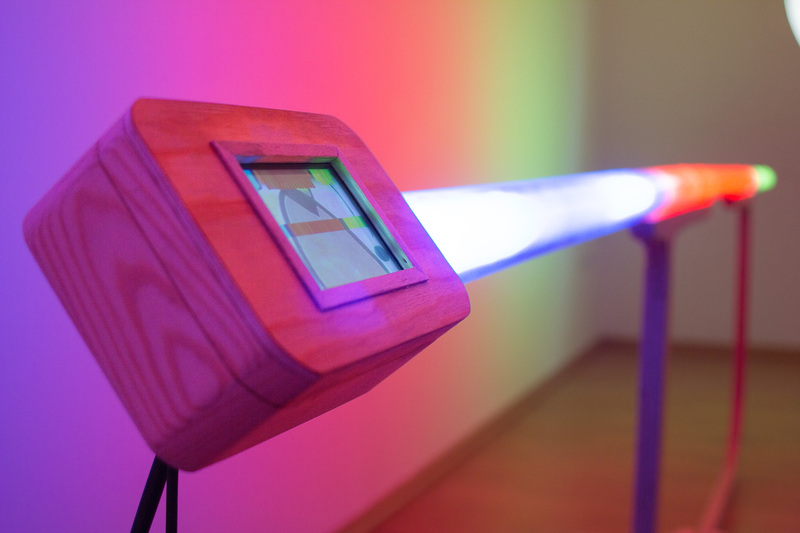 “Lightification” is a light and sound sculpture where paintings/images are transformed into light and sound. 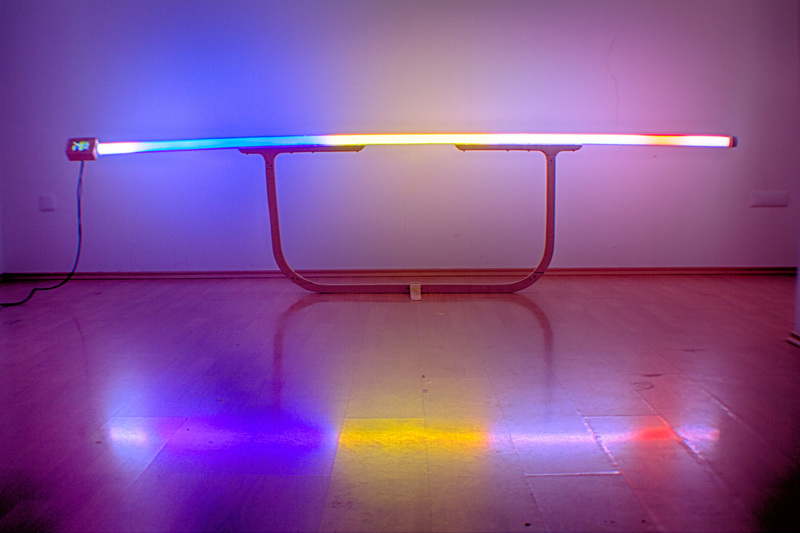 The sculpture reads a selected painting row by row while it transferring the color information to the lightbar. 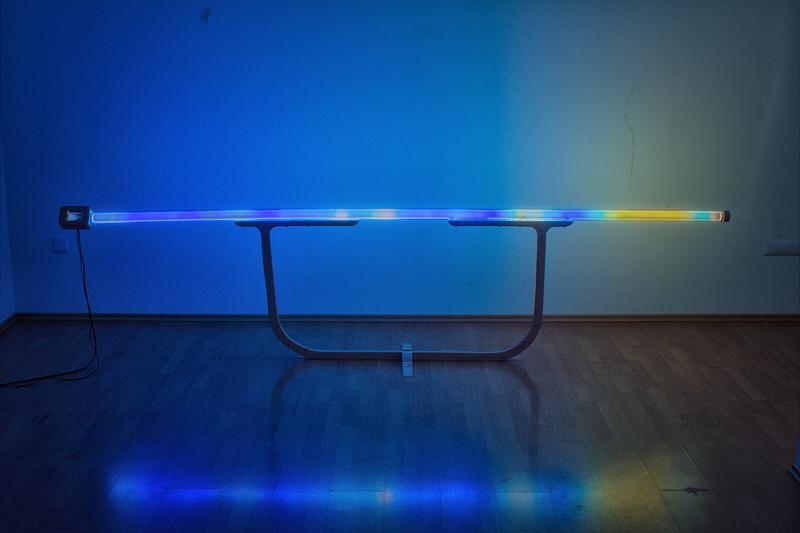 This has as a result the transformation of the painting into light. At the same time the colors of the selected row are translated into audio frequencies (following the same concept with my work Ichographs) creating a soundscape that follows the colors, patterns and structure of the painting. 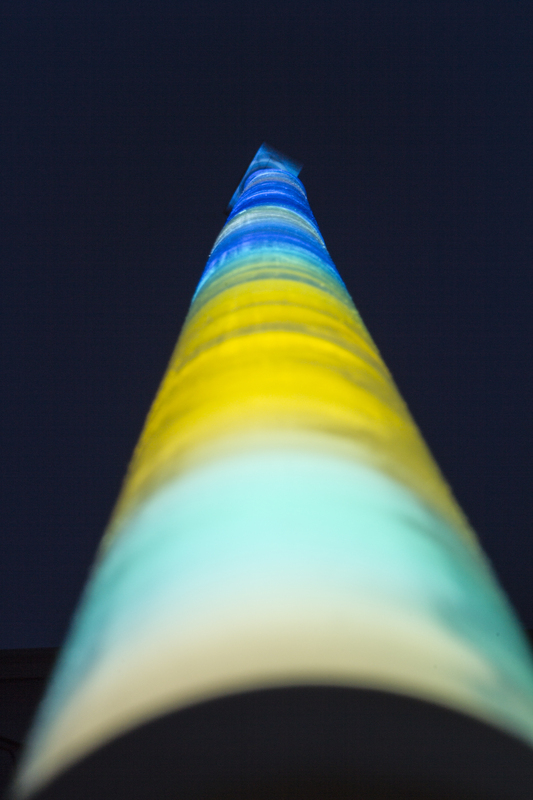 The sculpture is consisted of 3 meter long acrylic tube, in resemblance to the fluorescent lamps, equipped with 180 addressable leds. On the left side there is a tiny screen attached with a single-board computer. 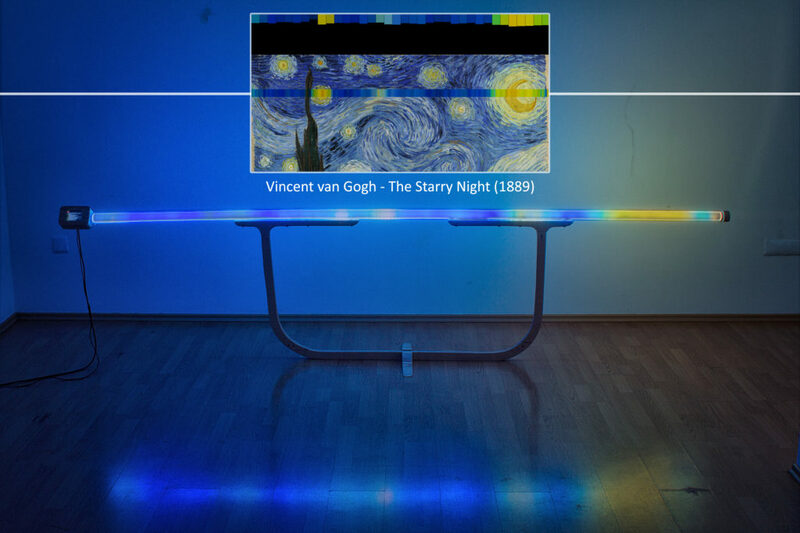 The computer starts to read the painting line by line from top to bottom and lights the acrylic tube in the colors of each line. 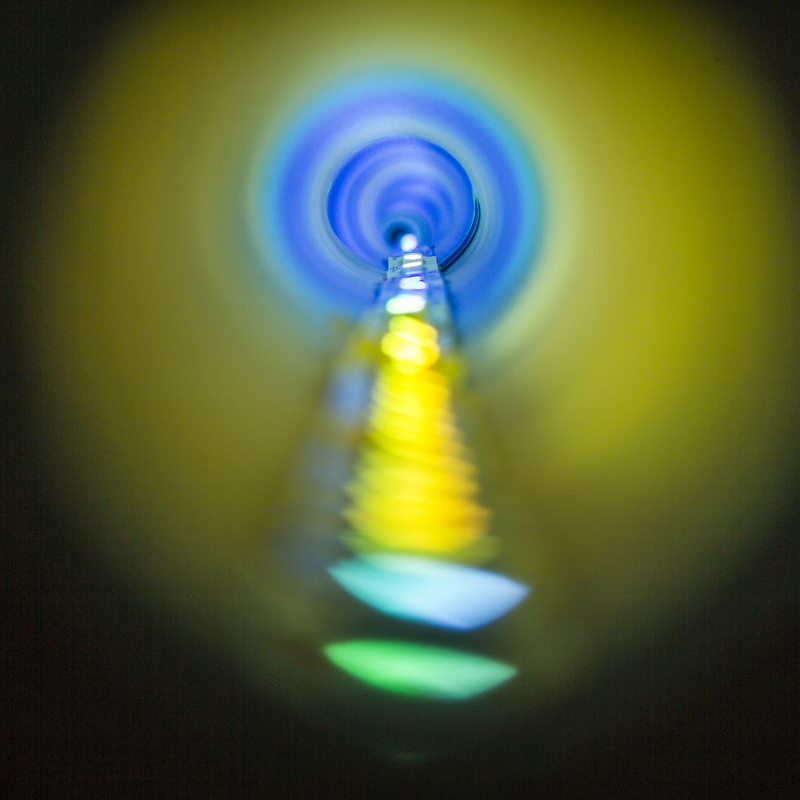 At the same time the colors of the light tube are translated into a soundscape using the color frequency relation of the Ichographs artworks. On the small screen the painting is shown and the line of the painting that is processed along with some other information for the sound. The painting “Color Study. 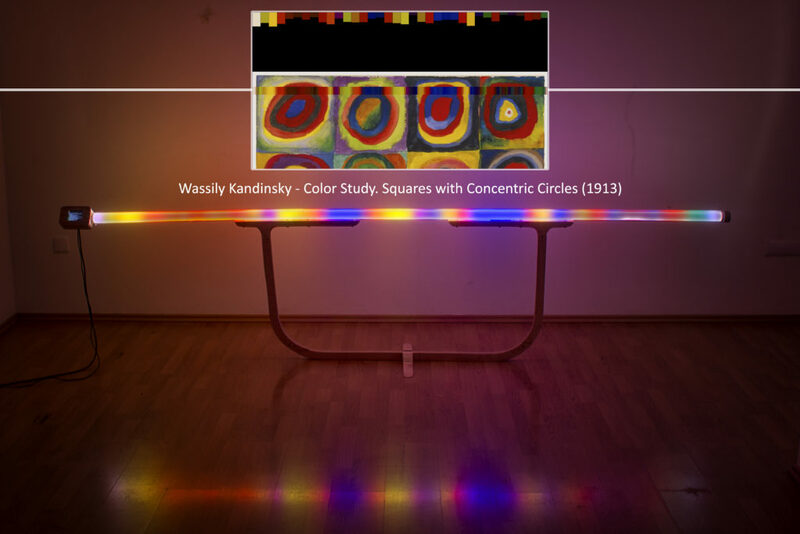 Squares with Concentric Circles” by Wassily Kandinsky is feeding the sculpture. The white line is the current row of the painting that is “lightified”. The painting “The Starry Night” by Vincent van Gogh is feeding the sculpture. 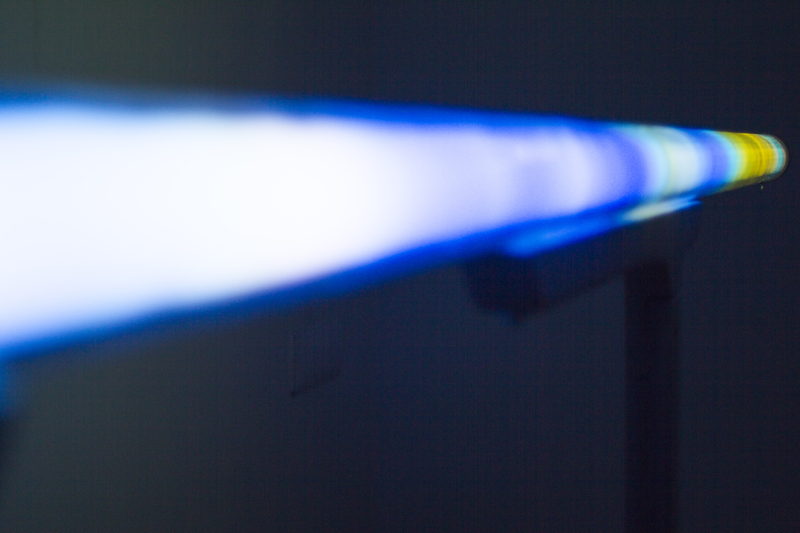 The white line is the current row of the painting that is “lightified”.